How is the boards list generated? 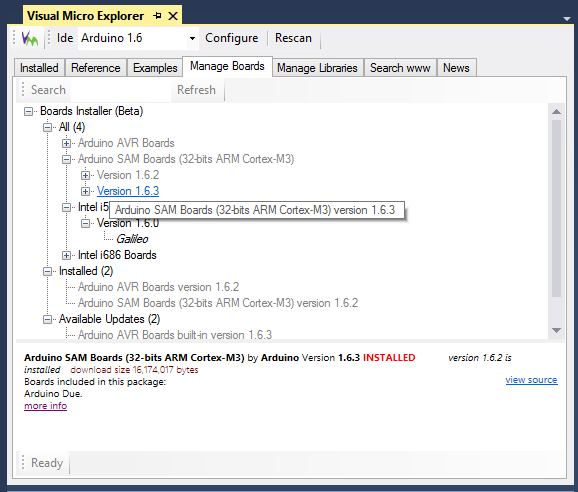 Arduino maintains the list and updates it every time a new core or tool or board definition is updated. Can I add my own url with my own boards list? At the moment, the IDE handles one URL only, and that's written into the code. This is a known limitation. However, if you know your way through the code, you can change that URL with another one. I can't delete one of the cores! Where are installed cores located?